Anything you have ever wanted or needed in life, your grandma has probably bought it for you. Grandmas are just the best. They spoil you rotten and would never visit empty-handed. However, with age, their gifts can become somewhat less fun and more hysterically shocking. 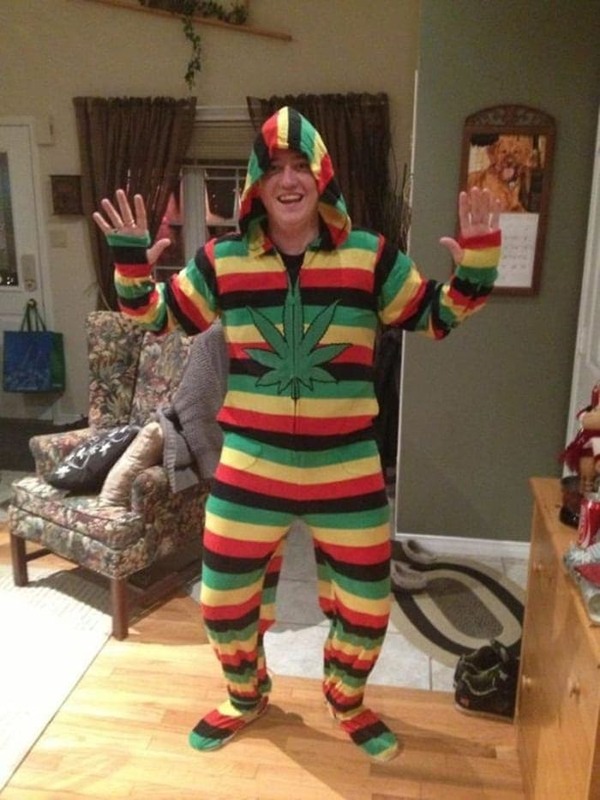 Whether they are doing it intentionally or are completely naive about what interests the youth of today, you are about to see photos of gifts from grandmas who win the award of worst gift givers. Take the time to read the hysterical stories that their grandchildren have described along with them. We can guarantee you that these pictures will make you appreciate your own grandma’s gifts even more. When Jen finally Jen plucked up the courage to tell her traditional grandma that she was moving in with her boyfriend, her grandma gave her a gift she felt would keep the young couple just friends until marriage. 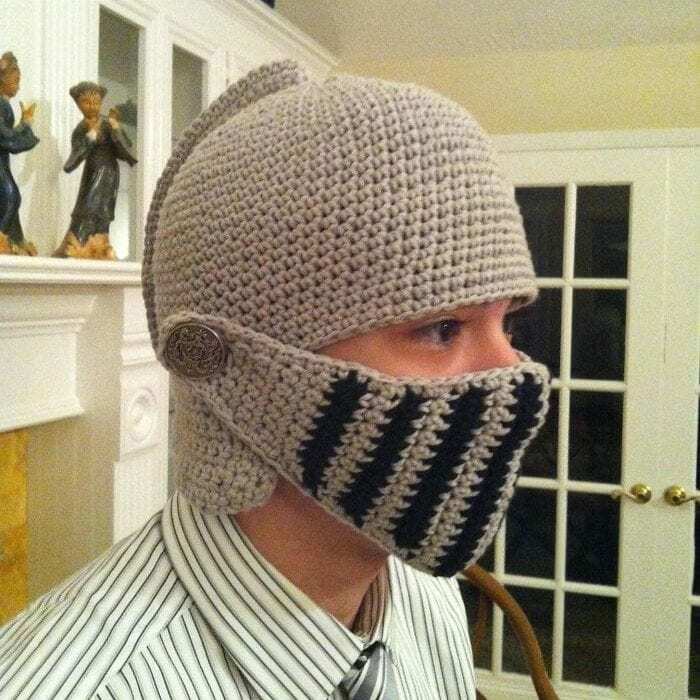 Adrian asked for a helmet for his birthday as he was super interested in medieval warfare. Furthermore, his obsession with Game of Thrones had reached new heights and he wanted to look ready for the new season. Not knowing too much about the show or concept, Adrian’s grandma wanted to give her grandson more than just a helmet. Instead of buying, she knitted this awesome number that, believe it or not, made Adrian the envy of all his mates. 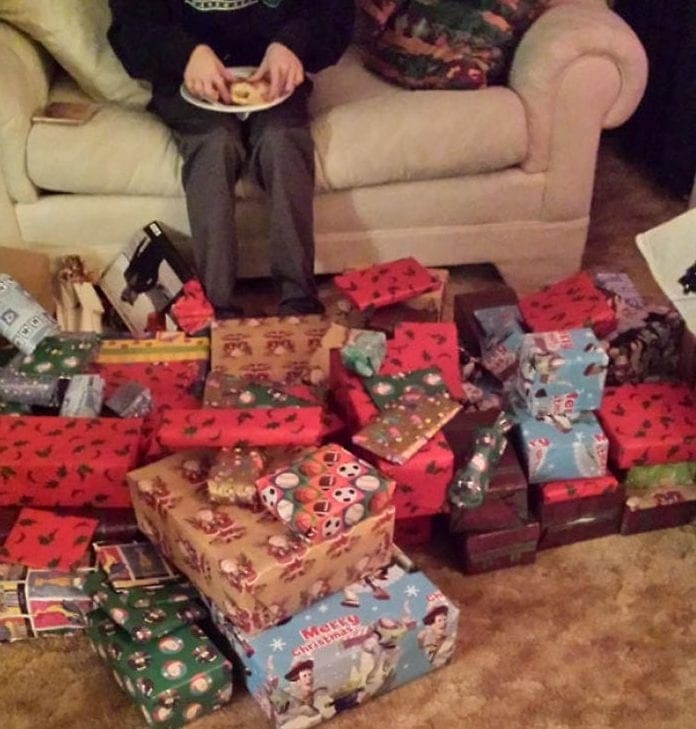 Grandma Jones was fed up with buying presents. She was not feeling the impersonal touch of them and wanted that same warm feeling her grandmother felt when giving hand-made presents to her. Older people take a while getting to grips with new technology. Sending picture messages, for example, can now be done instantly and delivered within seconds. 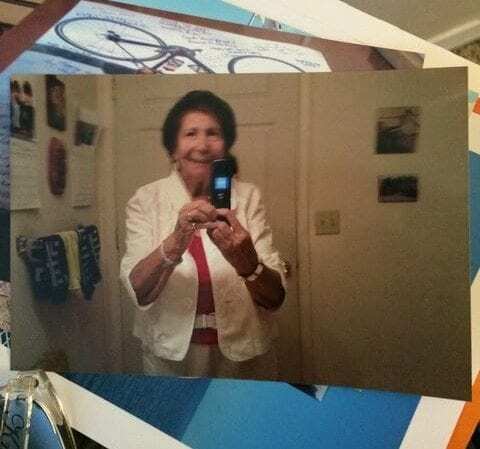 This grandma, however, did not quite understand the concept and rather than sending her selfie by instant message, she printed it off and sent it in the mail to her granddaughter. It must have been the slowest picture message to be received since smartphones were invented. At least she knows what a selfie is! Molly’s grandmother likes to stay young and cool. She regularly updates her Facebook status and is constantly on Urban Dictionary seeking what new lingo the youth are using these days. 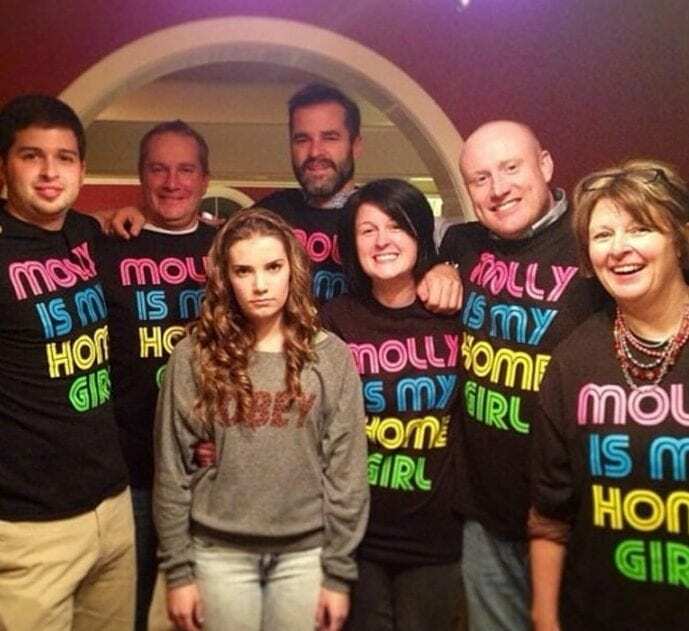 Much to Molly’s embarrassment, her grandma has not quite hit the nail on the head yet and for her birthday, her family welcomed her with these funky t-shirts planned out by grandma. Looking at Molly’s face, we don’t think grandma is going to win “grandma of the year” award this time around. 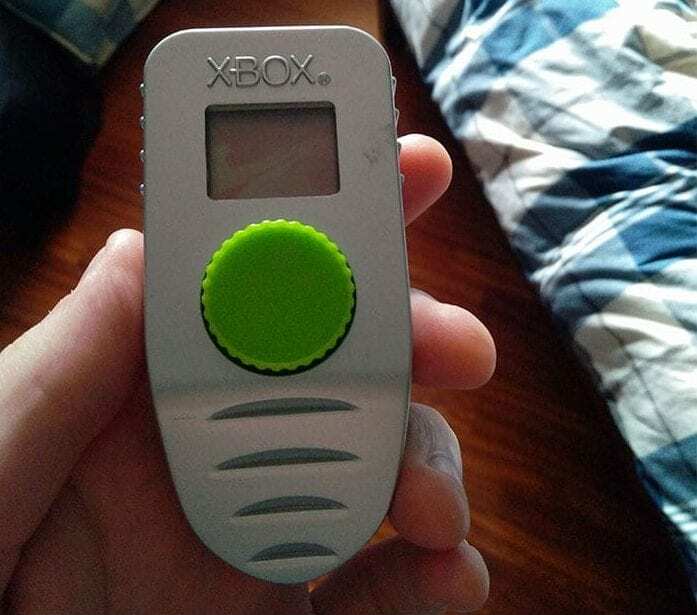 Dodgy Ronny from down the market knew just how to help this little old lady and presented her with this “top of the range X-BOX.” You can just imagine poor Saul’s disappointment as he opened up his gift to see this lousy device. What even is it?! There is no better gift in a grandma’s eyes than the one of religion and faith. When Gwen wanted to give her granddaughter a house warming present, she knew just what bible quote would follow suit with the idea. There is no better way to complete the frame than with a picture of herself. 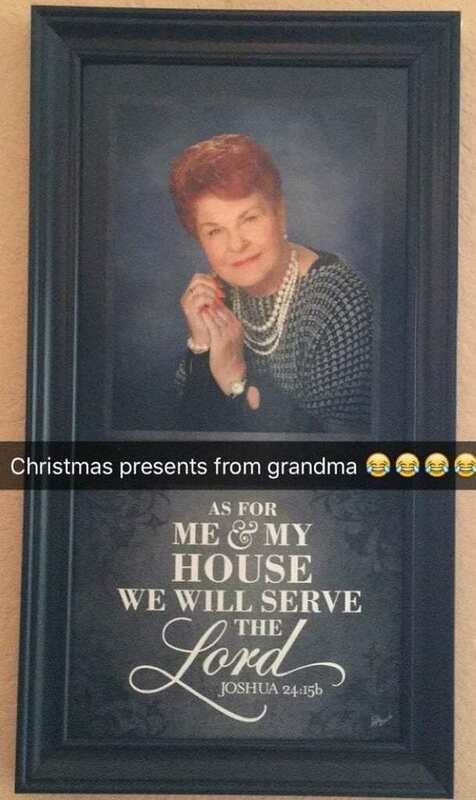 So not only is the Lord watching over her house, but Grandma Gwen is too! Be careful what you get up to, she doesn’t look like the sort you’d want to mess with. 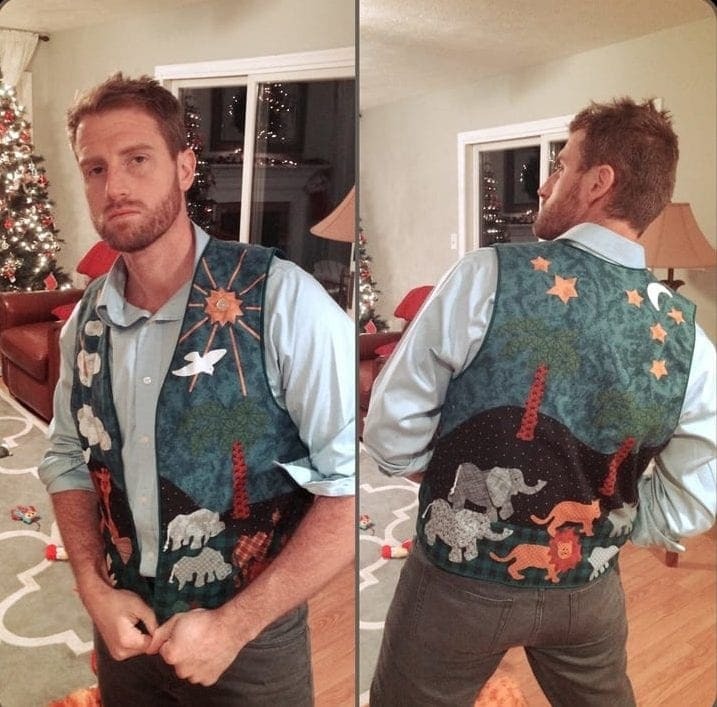 It was Joe’s 25th birthday and his fashionista grandma decided to make him an eye-catching, starry-sky safari waistcoat that she figured would suit her grandson well, knowing he likes animals and camping. Given that Joe was going to be hitting the town’s clubs and bars with his mates to celebrate the big day, she thought this was just the right thing to compliment his outfit. Looks like Joe thought so too – work that camera! It seemed as though the message got lost in translation when Becky’s mother asked her grandma to fetch some tape for her arts and crafts project. When Becky’s mom caught sight of the gift before her grandma handed it to her, she told her mom, “This wasn’t what I had in mind…” Becky’s grandma innocently responded, “But the guy at the store said it was the fun kind.” Unfortunately, Becky did not get the tape, but her mom certainly benefitted from it. 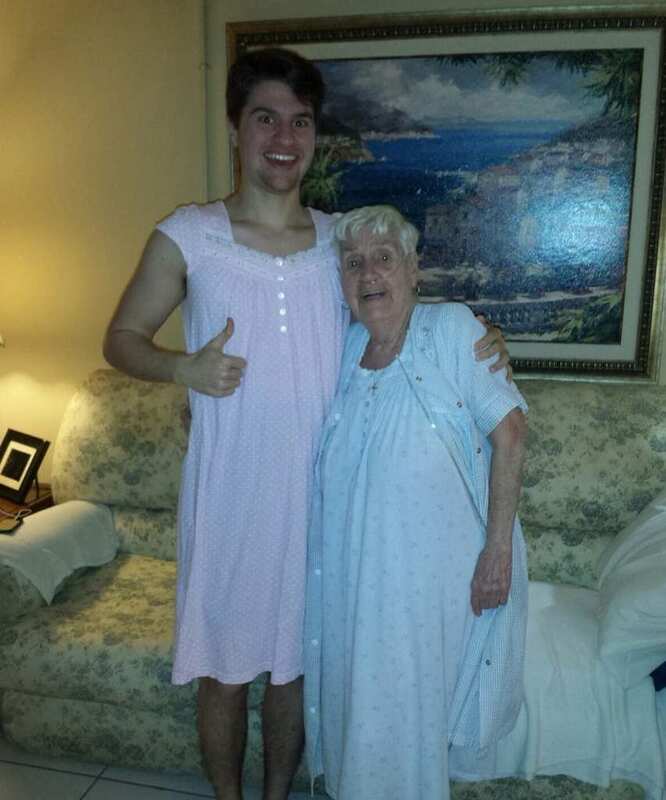 Sleepovers at grandma’s house are the best. A fully stocked fridge, the heating on full blast, and unlimited amounts of attention and love. Nothing makes you feel more at home than having some fresh nightwear laid out for you when you arrive too. 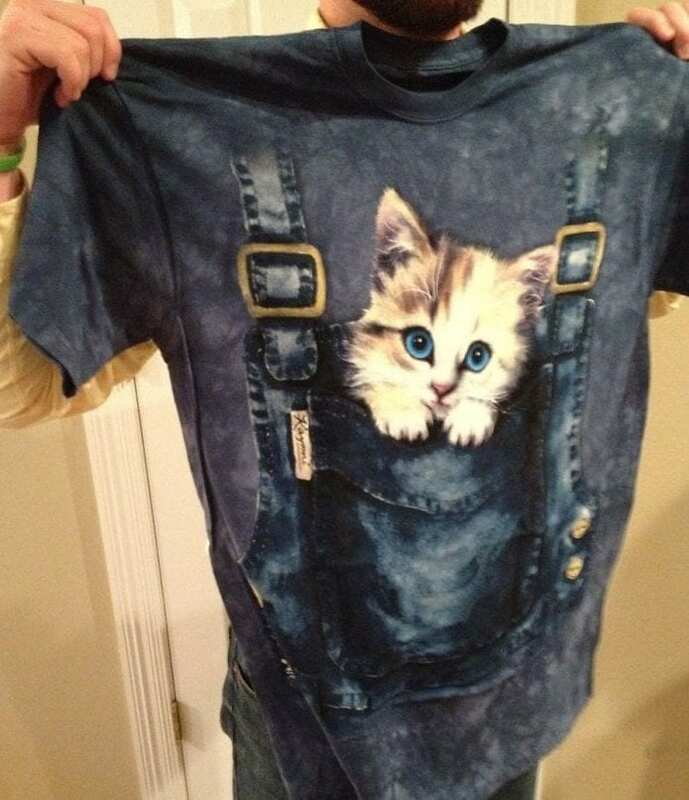 Unfortunately for this grandson, it was washing day and his grandma had picked him out something a little less gender neutral. It was as if he was the granddaughter she never had. 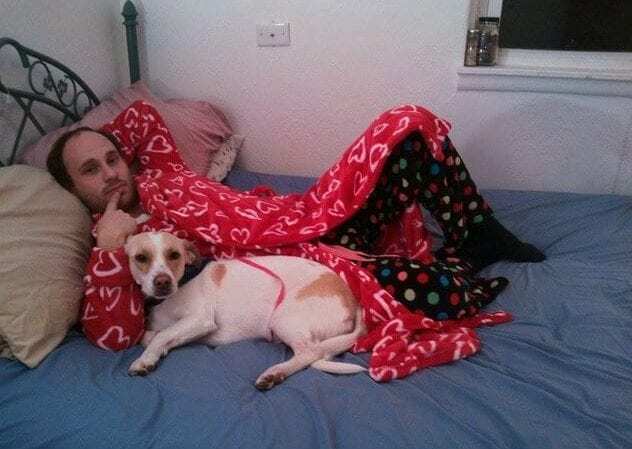 Hey, at least they are matching. Cute! This is a picture of Brody Jonas Dean (AKA B.J.D). It was not his birthday, Christmas, or any other special occasion when his grandma bought him this T-shirt. She just simply saw it and thought it was so wonderful that it had her grandson’s initials on that she just had to buy it. It is funny to believe that she thought it was just a coincidence, but we think she knew exactly what she was doing when she purchased it. When Dave told his grandma he liked kittens, he did not think about the repercussions that were to follow. When his grandma later asked him, “Do you like dungarees?” and “Do you like being incredibly embarrassed in public?” he was completely lost. However, it all made sense to him when this blue gem arrived in the post. We are not sure what Dave did to deserve this but we think his grandma showed him who is boss. 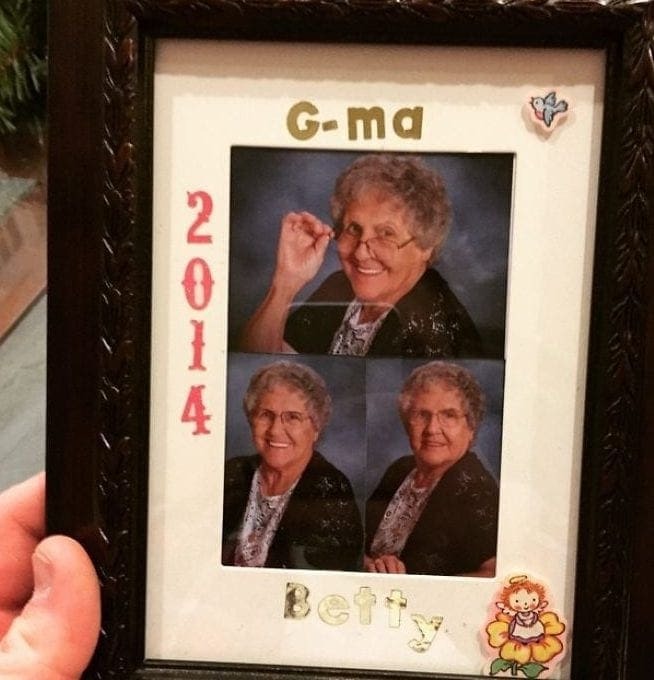 This grandma, or should we say G-ma, is showing so much attitude that the G must stand for “gangster.” When Grandma Betty couldn’t think what to get her grandson she thought out of the box and decided this would be a great way to remember her forever, even when she’s gone. Improvising with her great-granddaughter’s stickers, she customized the picture. With so much thought put into it, no one could argue the greatness of this gift, could they? 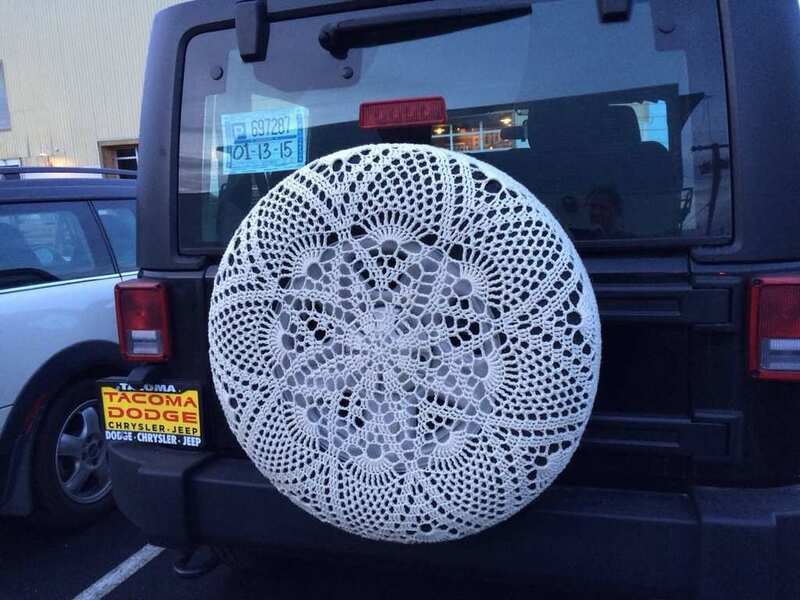 When Kacey told her gran she bought herself a new jeep, her gran decided to find her a cute accessory to complete her new set of wheels so she could stand out from the crowd. Except Kacey had to hide her disappointment when she received this knitted back wheel cover. Ok, she will certainly stand out from the crowd in traffic, but not for the reasons she hoped. Kacey is still counting down the days until she can afford to change her ride. 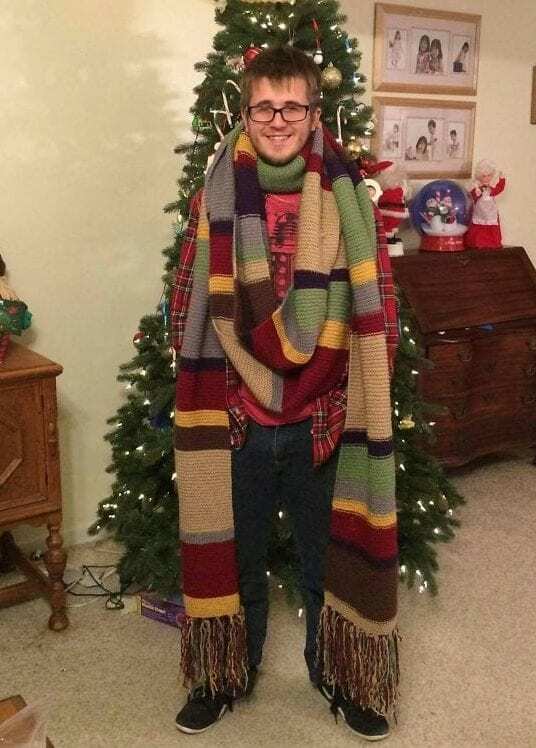 The last thing a grandma wants is her grandson to be cold. “Wrap up warm,” is a common phrase that has been engraved into grandmas all around the world. 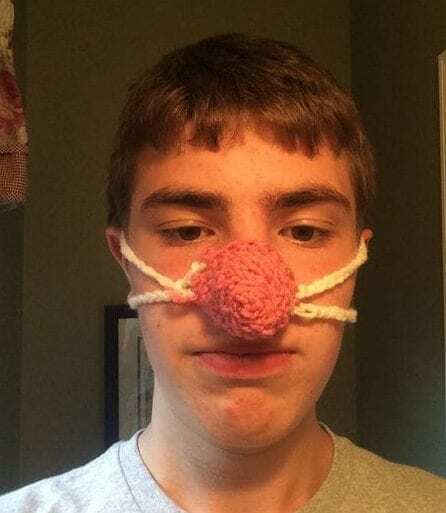 Jake’s 94-year-old great-grandma made this for him to keep his cute little button nose warm because she said it was too cold. However, what she failed to remember is that he lives in Florida and it was around 80º outside. If it is any consolation, this is a super great invention and we would like to make an order! 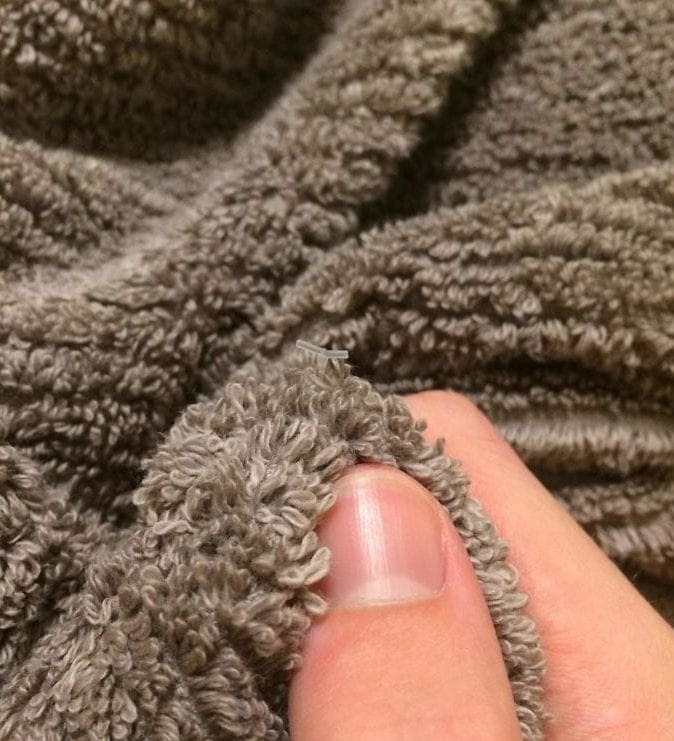 “My grandma handed me a towel as a gift and told me she made it…” You can almost hear the disappointment in Mike’s voice. The picture below pretty much sums up how sneaky Mike’s grandma is as she clearly told a little white lie to her grandson for brownie points. Sorry Mike, all we can tell you is perhaps she did make it and attached the tag on herself, ever think about that? Eager Daniel couldn’t wait till Christmas day, despite being in his mid-30s, and opened his present from Grandma a little too early. However, it wasn’t until he opened it that he realized his grandma messed up and it was likely a gift intended for one of his girl cousins. “You snooze you lose,” thought Daniel who didn’t care that he opened the wrong gift and the soft dressing gown was just too cozy to resist. It also brought out the blue in his eyes. You don’t get unless you ask. However, for some, maybe it is best to never ask in the first place. 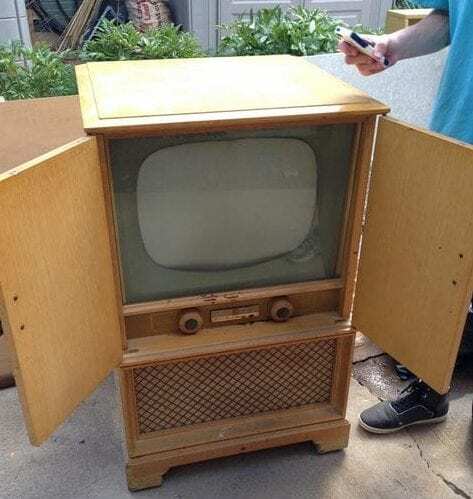 Knowing his grandma had an old TV lying around in the basement, Dave kindly asked her if he could have it as he wanted to play some video games in his room without bothering his parents. When asked what she wanted for Christmas, Claudia had no idea what to pick. So instead, as a joke, she told her grandma that she wanted 100 things from the dollar store. Whether or not that’s better than one big present for $100, you be the judge. Evidently, this grandma does not like to be messed with and she spread 100 presents wrapped neatly on the floor in front of Claudia’s face, smirking, as she tucked into her egg roll. Grandmas are renowned for having a passion for knitting or sewing, so much so that they would spend hours making quilts for those nearest and dearest to their hearts. While most go for patches of different materials, this grandma made sure to represent her grandson as the coolest g-ma in town. 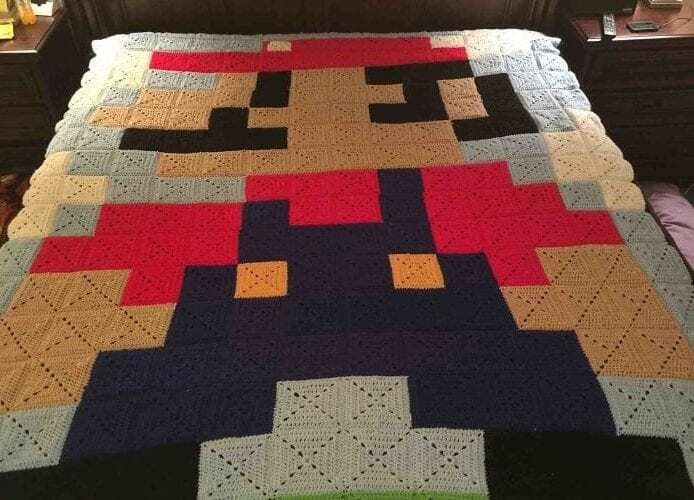 She made her grandson a Mario Kart quilt. Is it too hurtful to let her know she forgot the ‘M’ on his hat? 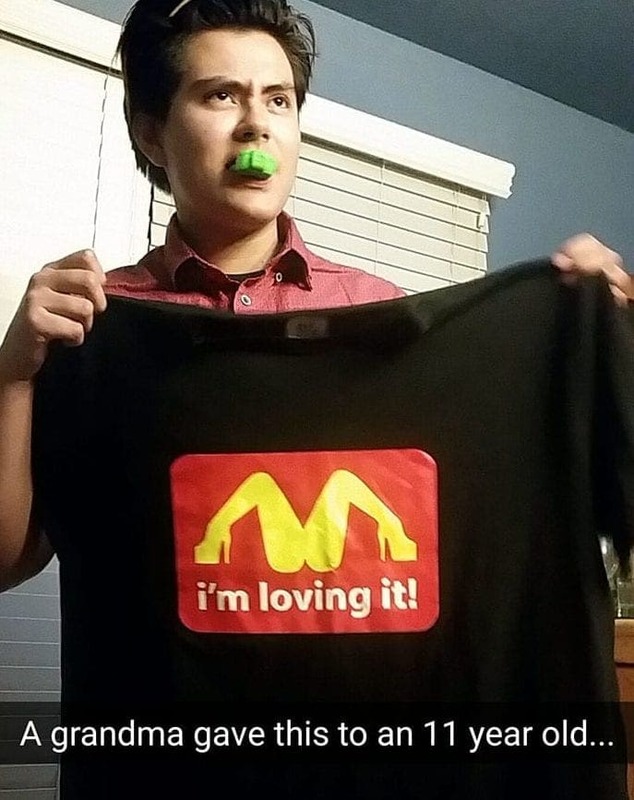 This grandma knew her grandson was a fan of fast food and wanted to treat him to this delightful T-shirt with the “golden arches” as a little gimmick present. Unfortunately, her eyesight had recently taken a turn for the worse and she couldn’t make out what this graphic was actually showing, or she could and this was all one big joke. Either way, this poor kid will never be able to enjoy a Happy Meal again. 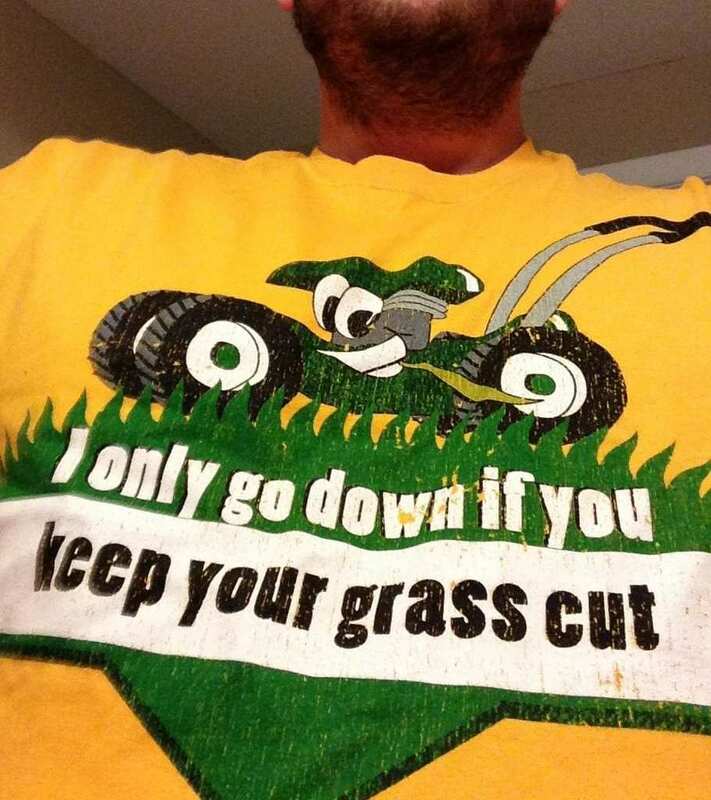 Jeff’s grandma saw this T-shirt and immediately thought of her grandson. 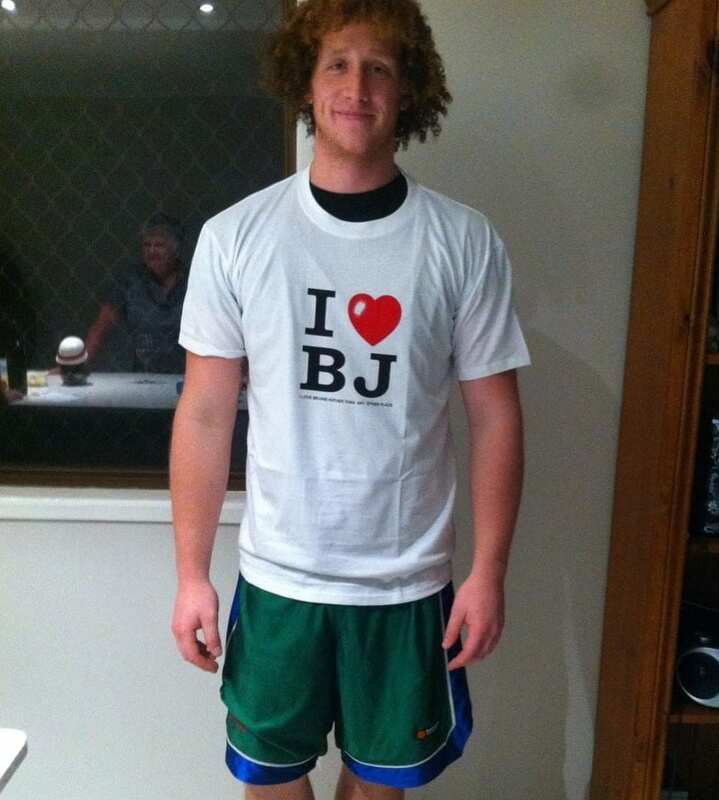 However, we are almost certain that his grandma didn’t understand the highly suggestive message on it – or so we hope! Perhaps her grandson is a keen soccer player and she knows that he can be picky about which type of playing field he plays on or he is an OCD gardener. 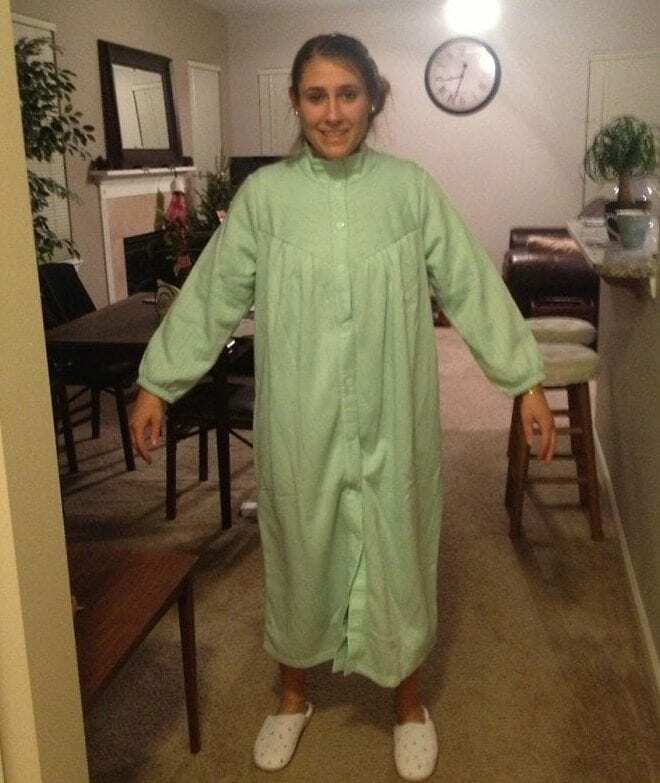 We really hope that one of these is the reason she went ahead and bought this shocking shirt. It is a very grandma-ly thing to do to buy your grandson a onesie for Christmas, yet this grandma is in no denial about what her grandson is really interested in. All things Bob Marley and reggae it seems. While most grandmas would avoid the topic of illegal substances and expect that their darling boys not involve themselves with this type of activity, this grandma has come to terms with the reality of life, much to her grandson’s delight. Felipe’s grandma was tired of her grandson’s underwear constantly being on show. “We don’t need to see your Calvin Kleins,” she would tell him. 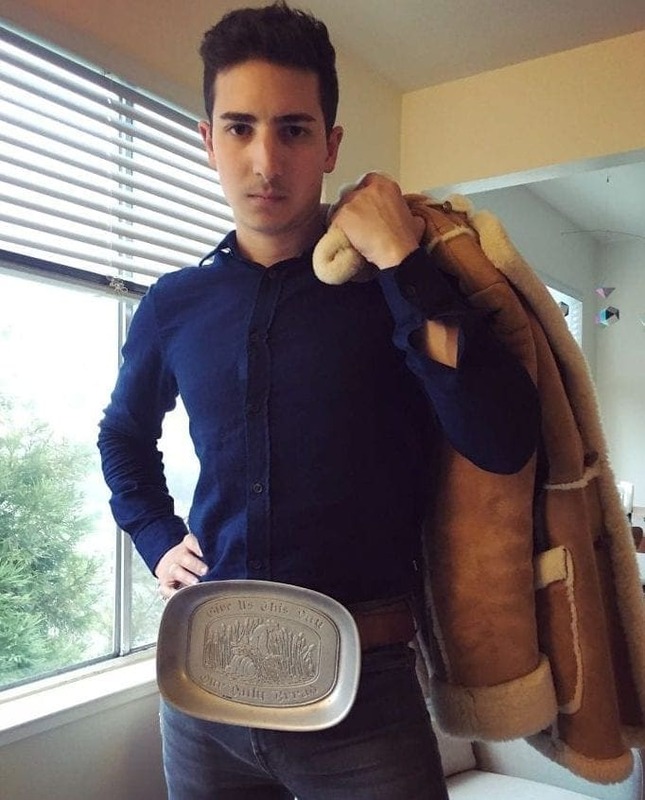 So to fix the problem, his grandma fixed Felipe’s belt which had been broken for years. Unable to find a standard buckle, she instead saw one that she figured fit in with the current trend of the year. Oversized watches and sunglasses seemed to be a thing, so belt buckles must be too, right? Whether you work with computers and technology or just love it as a hobby, to the elderly it is as though we are Harvard educated if we are able to turn on a television without messing up the channels. So this grandma wanted to tell the world how proud she is that her grandson is a computer game programmer (not that she completely understood what it meant). 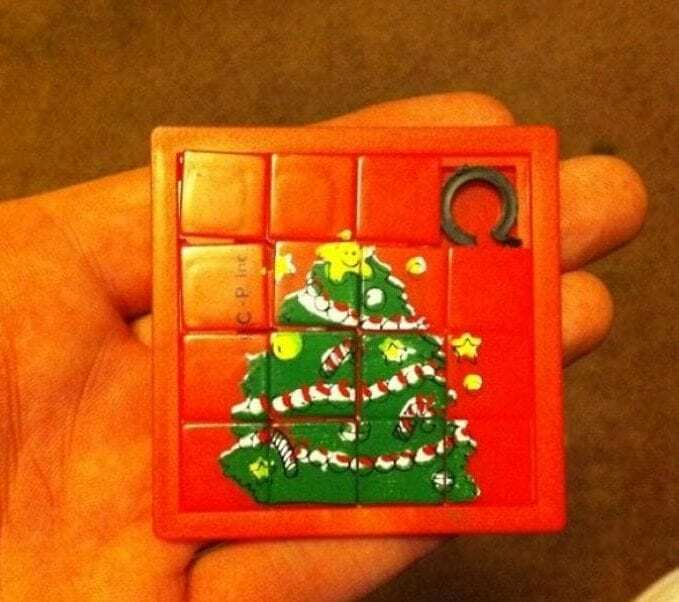 As a Christmas treat, she did her research and bought him this game, thinking she had nailed it!